Netherlocks guarantees at least 10 years lifetime of the valve interlock and this is backed by TUV testing and certification. The simple and reliable mechanical design has proven itself over 20 years in the field. While using your system you may find after some time that part of the system was modified, components may be missing, items may have been damaged and exposed to severe stress and vibrations or chemically exposed or fouled. Hence regular condition monitoring and maintenance is required in order to ensure 100% availability. Moreover, valve interlocks may need to be reset due to wear and tear of the valve. Netherlocks offers service support through local service centers and a network of certified local service partners. 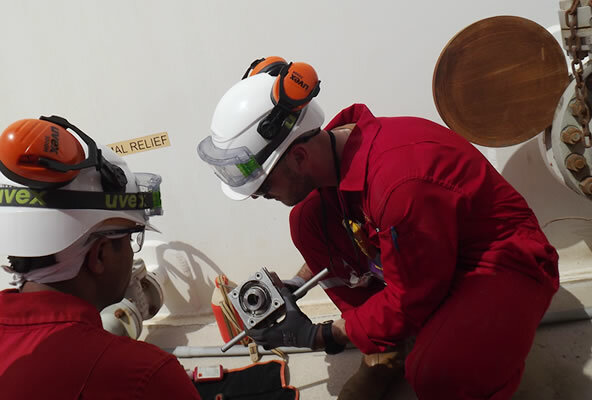 Our custom maintenance contracts allow you to avoid unplanned maintenance and thus increase process uptime. Netherlocks maintenance programs for valve interlocks are based on 3 basic components. Over a predefined period of time, a tailored program is set up in which one or more components are scheduled to be executed. This will guarantee a fully functional safety system at all times.